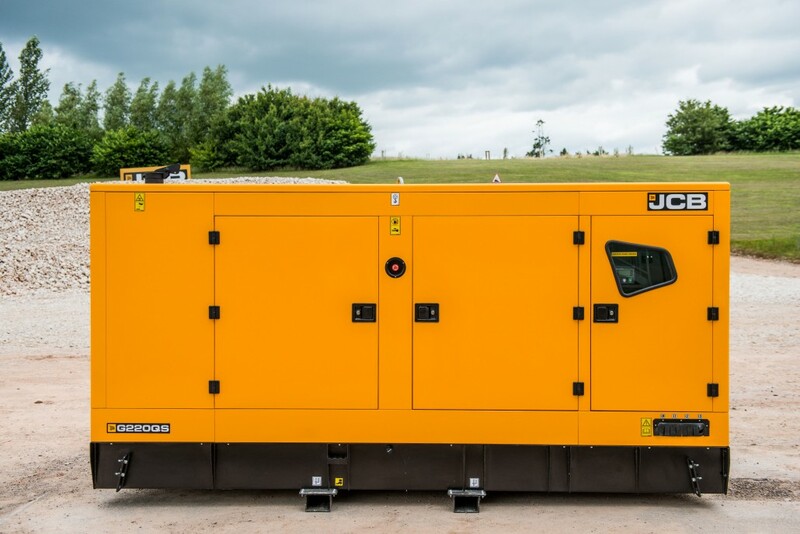 JCB QS generators are designed to meet the needs of a very demanding market for both prime and standby power applications. Designed to suit all applications; residential, rental, construction, quarrying and mining industries, agricultural sectors and for use as back-up power supply for commercial applications such as hospitals, offices and datacentres. JCB’s Dieselmax engine provides power to the range. Excellent load acceptance (G65QS & G90QS at 100%) and low fuel consumption means increased efficiency and low noise. The Deep Sea Electronics control panel allows for machine monitoring and programming options. A large screen and multilingual settings make this unit simple to use. Internal fuel filling with a locking cap enhances security. There is a removable fuel tank for easy cleaning and servicing. A bunded base is available upon request. JCB has combined the fuel optimised Dieselmax engine with quality components. This maximises uptime and drives down the cost of ownership. Careful design of the air flow and silencer achieves low noise levels. Sound pressure of 66dBA at 7m / sound power 94 LwA db, makes these generators suitable for a range of applications. 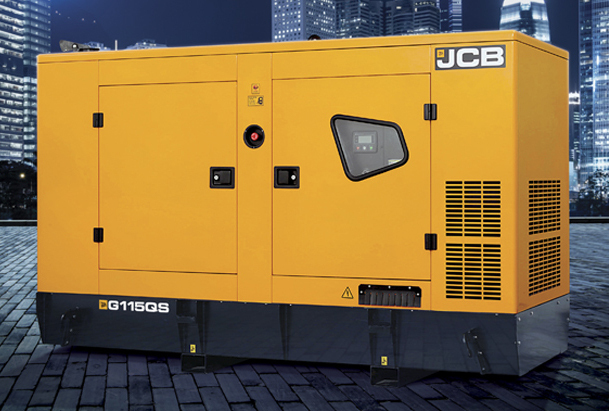 JCB has developed and tested the QS generators to operate in temperatures over 50 degrees. The large service doors provide excellent access to key areas of your generator. Robust removable hinges mean you can remove them altogether for ultimate access. A three-stage fuel filter plus optional self-cleaning air filter protect the engine from premature wear. This maximises uptime, even in the harshest environments. A compact canopy and small footprint reduce transport costs and minimises installation space. JCB QS generators are easy to transport and position. A choice of four lifting lugs, large fork pockets or a central lift point allow the generator to be moved and placed anywhere on site. 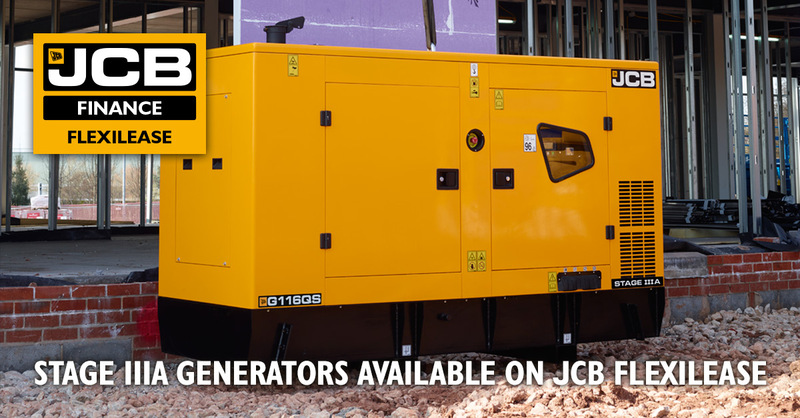 The G20QS to G220QS are the very latest generators in the comprehensive JCB Power Products range. As with all of our models, these machines are designed for ultimate productivity and efficiency even in the most rugged environments. JCB LiveLink gives you complete control of your generators to keep the power on! Livelink improves productivity, maximises uptime and make it easy to manage the health of your generators by providing essential operational data. The most up-to-date information about how your generators are performing or where they are located becomes even more critical when it comes to making the right decisions. The more knowledge you have to generate uptime, the better value for money your generators deliver.